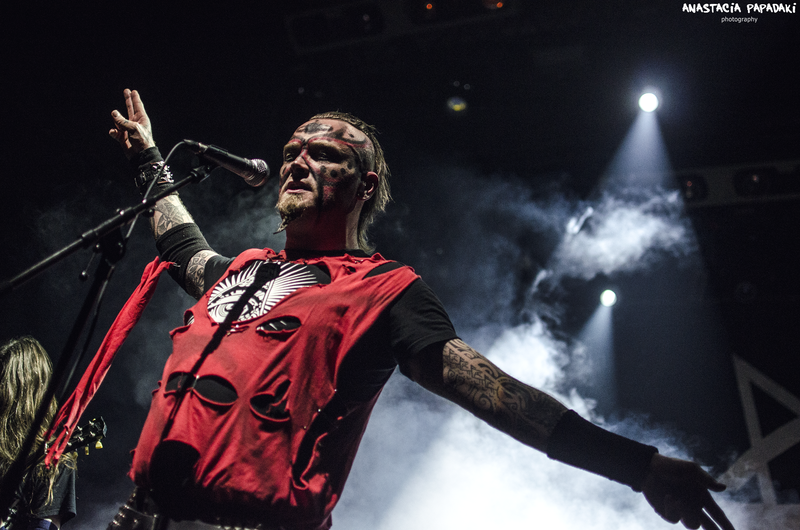 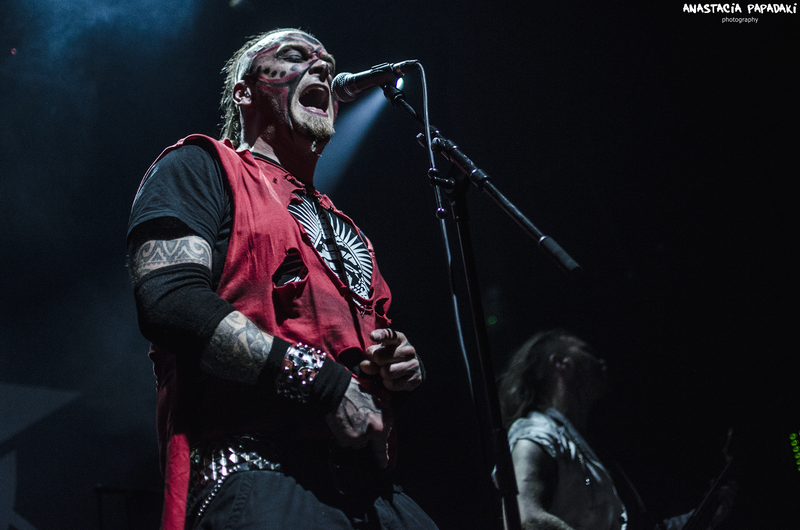 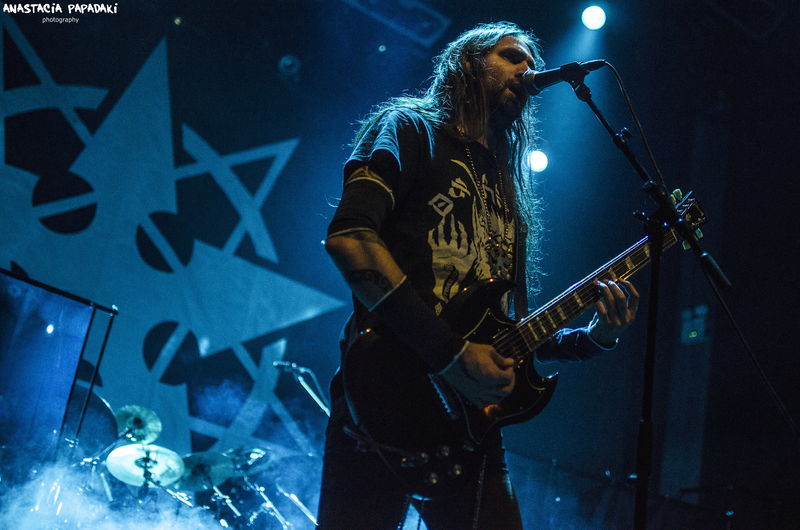 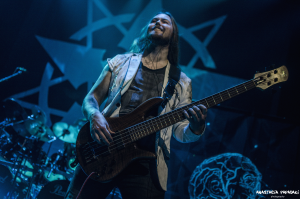 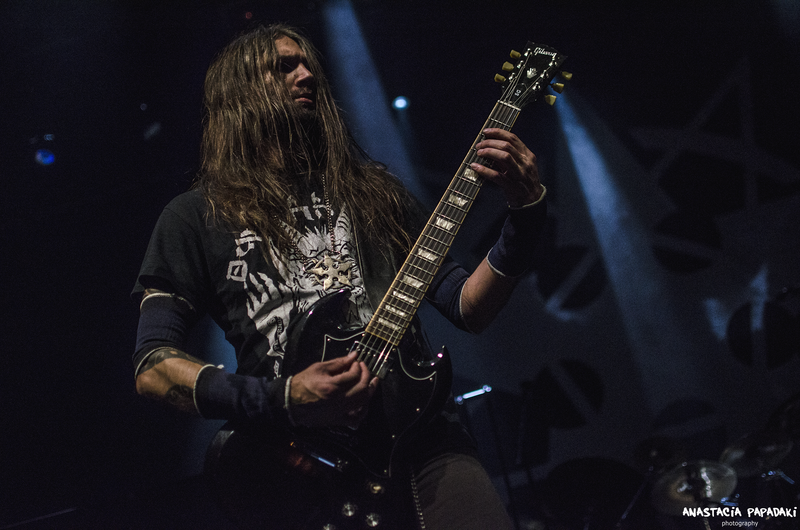 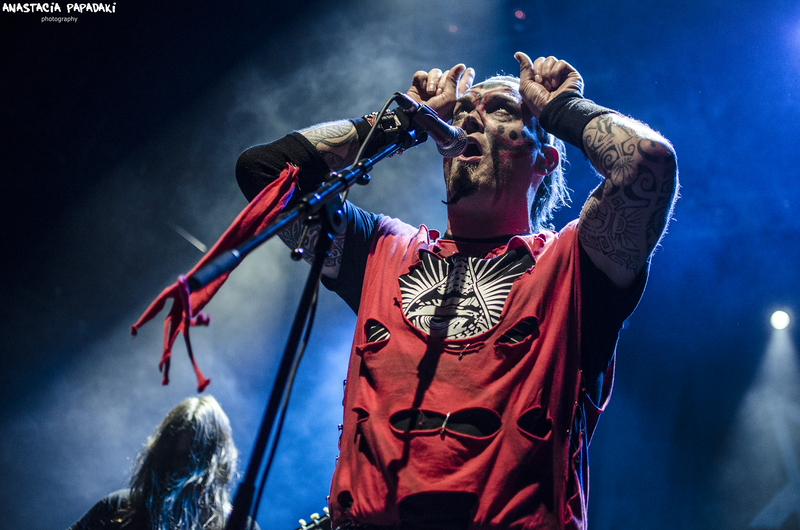 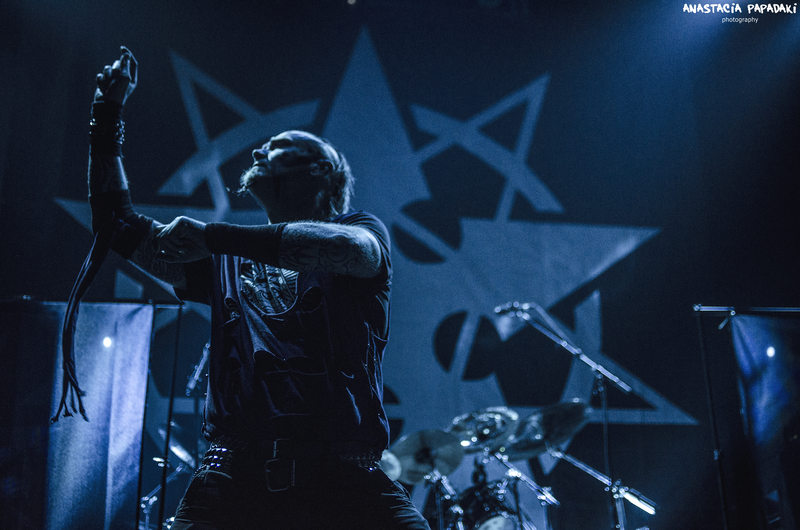 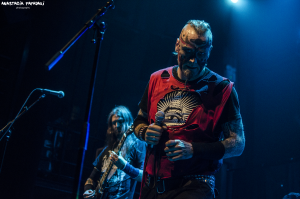 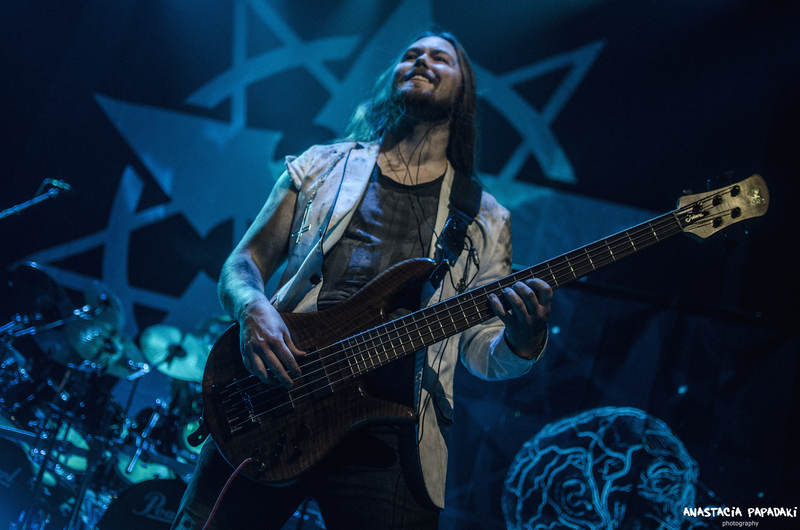 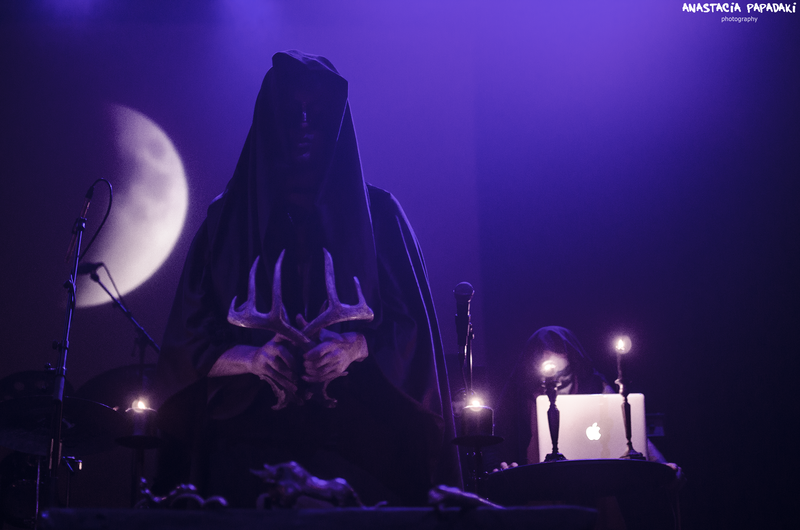 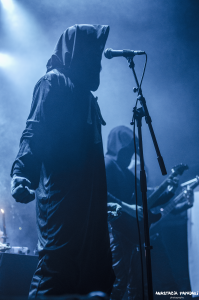 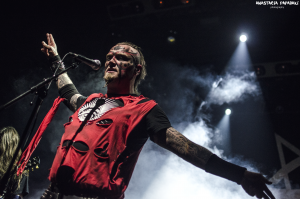 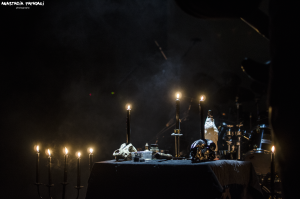 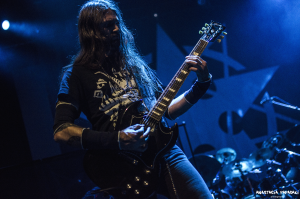 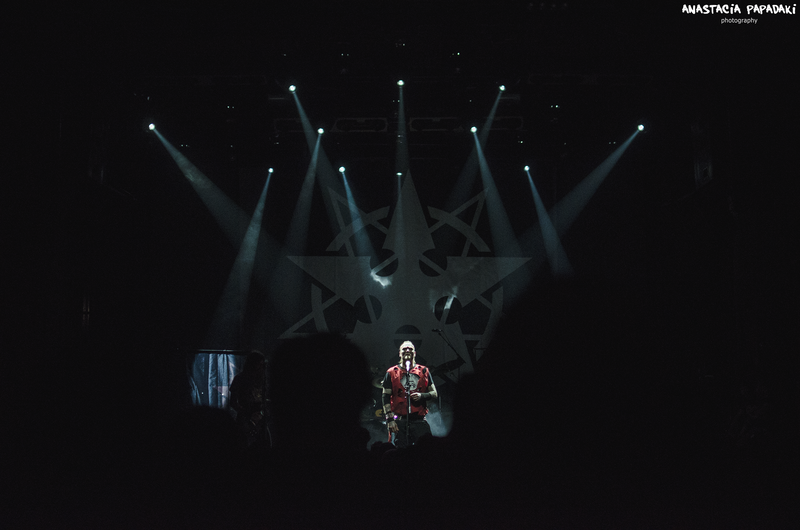 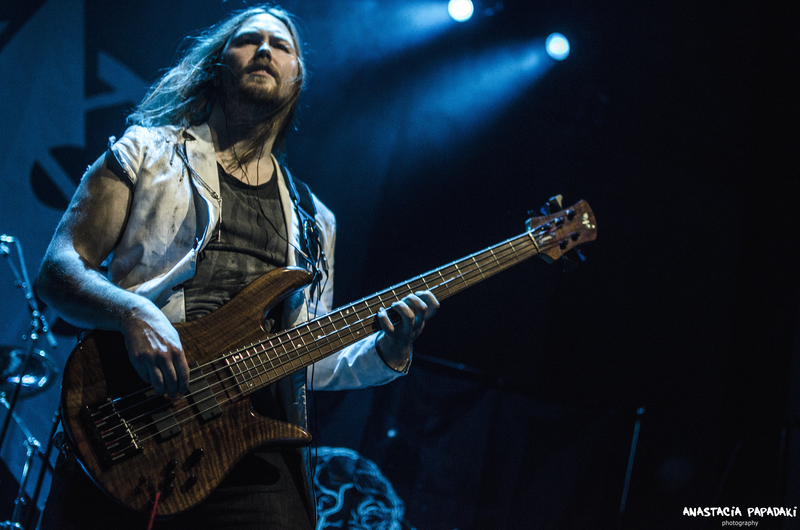 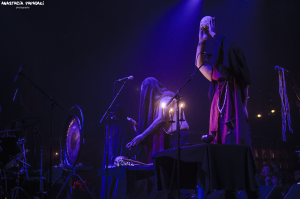 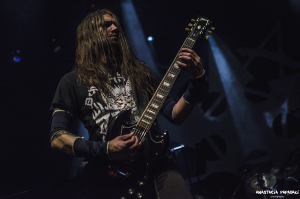 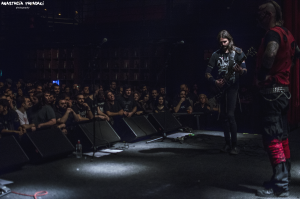 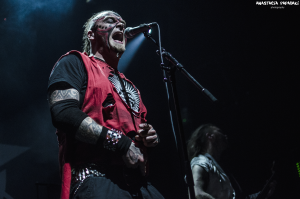 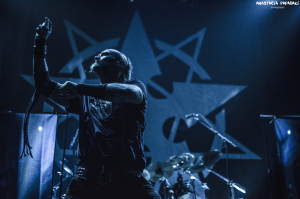 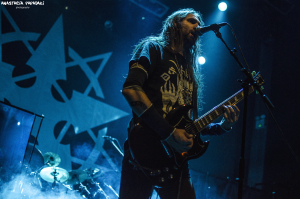 DØDHEIMSGARD on Friday the 13th of November are back with their new album “A Umbra Omega” for two live shows and we were there to witness the ritual. 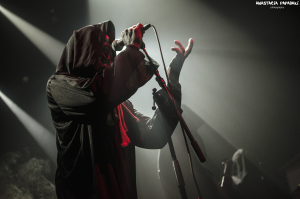 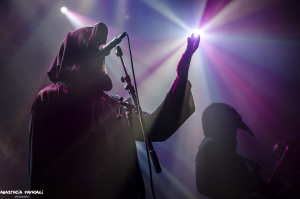 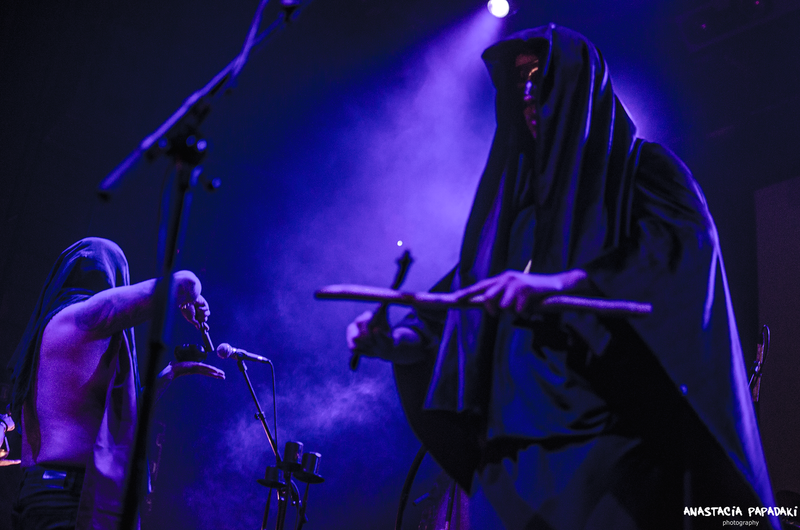 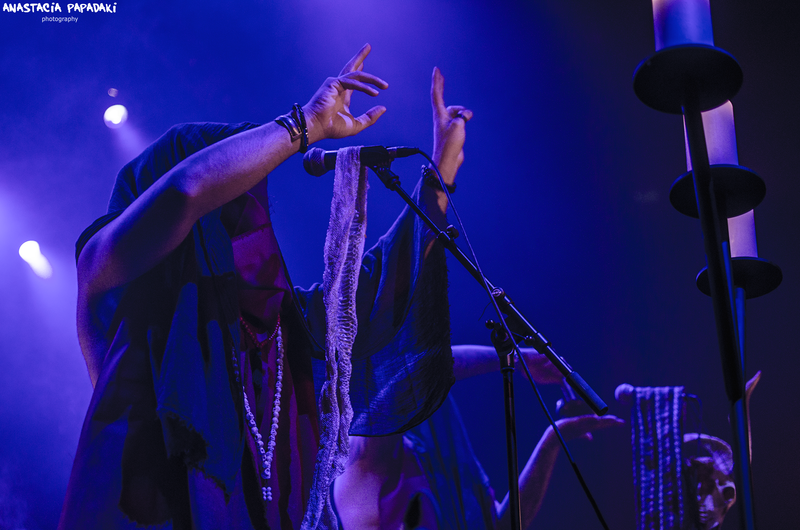 In Athens, the opening acts were local SHIBALBA and THY DARKENED SHADE. 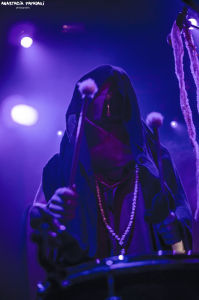 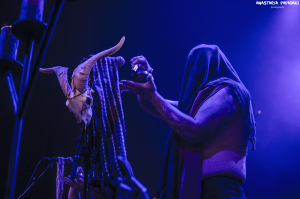 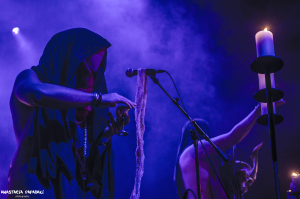 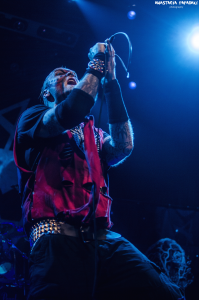 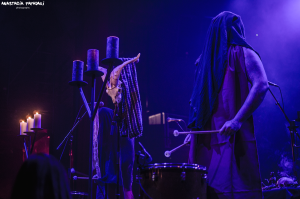 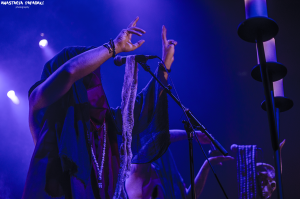 The gig started around 10.30 and SHIBALBA get up on stage after having set the atmosphere in order for the audience to enjoy their ritualistic performance in its best form. 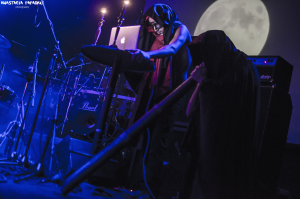 Candles, horns and a full moon on the projector in the background made their performance misty resembling a rite of passage. I have personally never witnessed a performance like this before but I was very positively surprised. 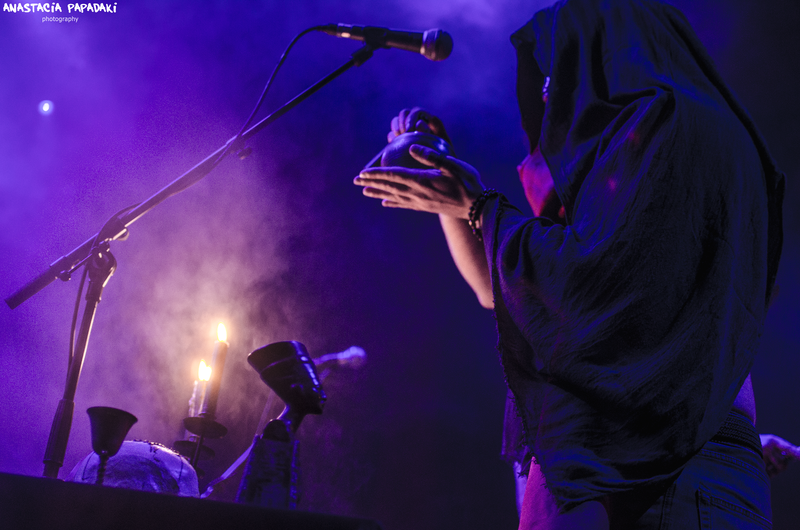 As the ritual continued, the full moon started to darken and as soon as it disappeared it was time for SHIBALBA’s closure. 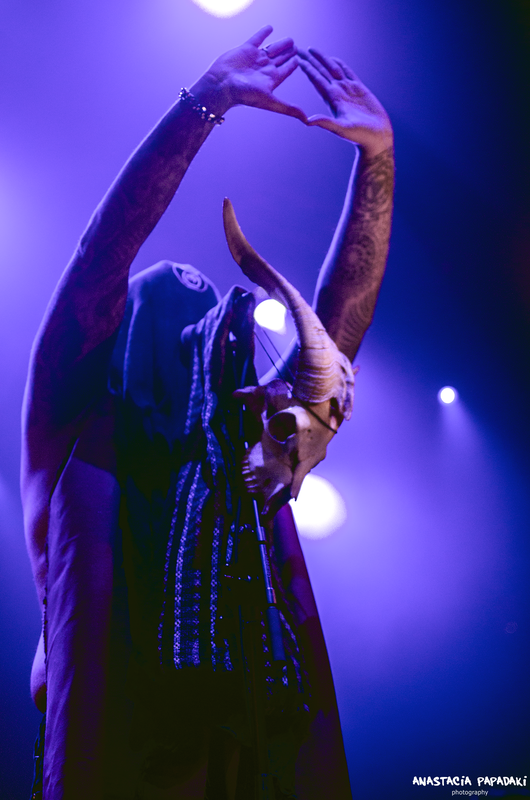 Overall, a very special performance that will be remembered. 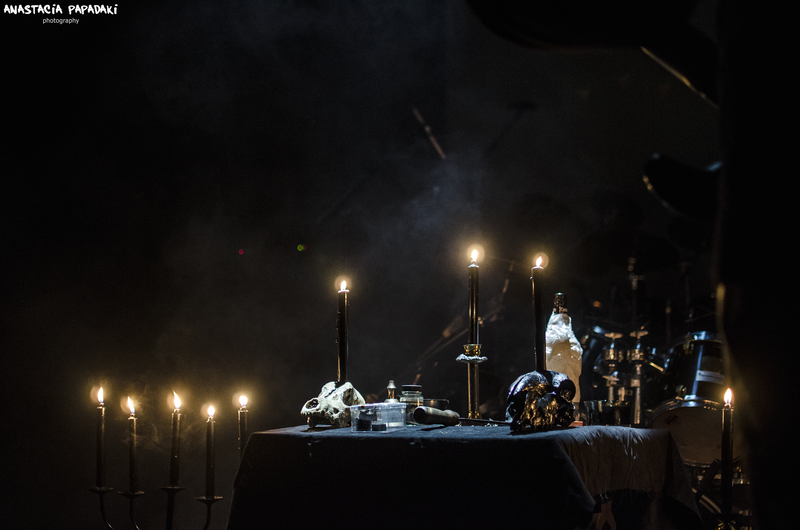 It was time for THY DARKENED SHADE next who had their own ritual set up for the day. 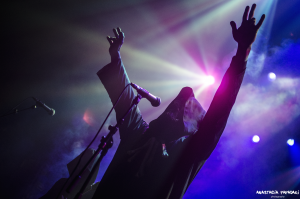 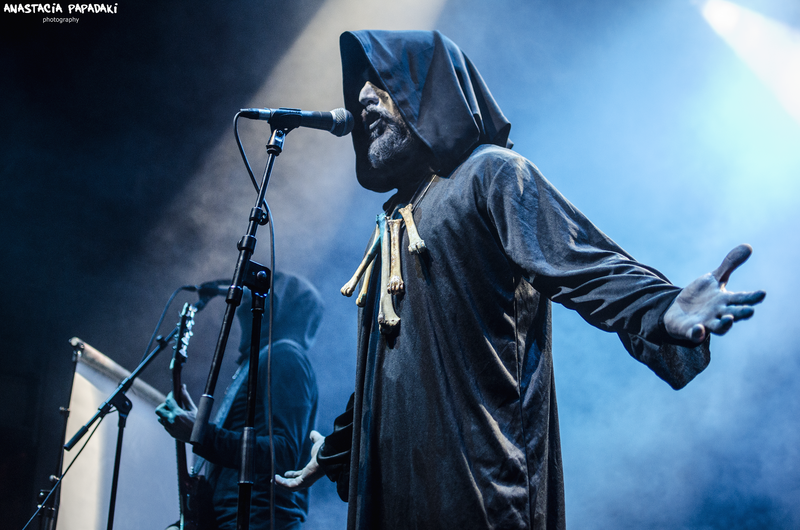 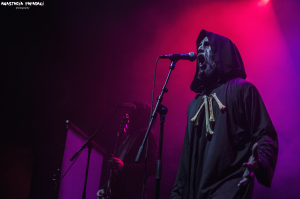 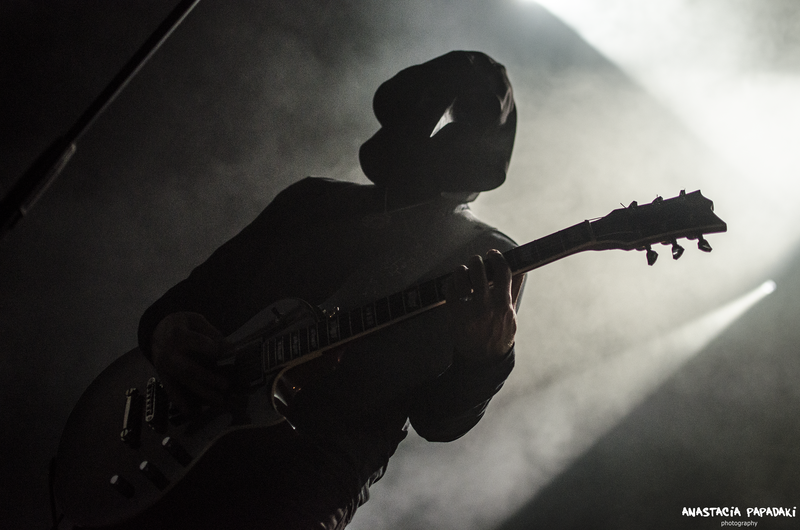 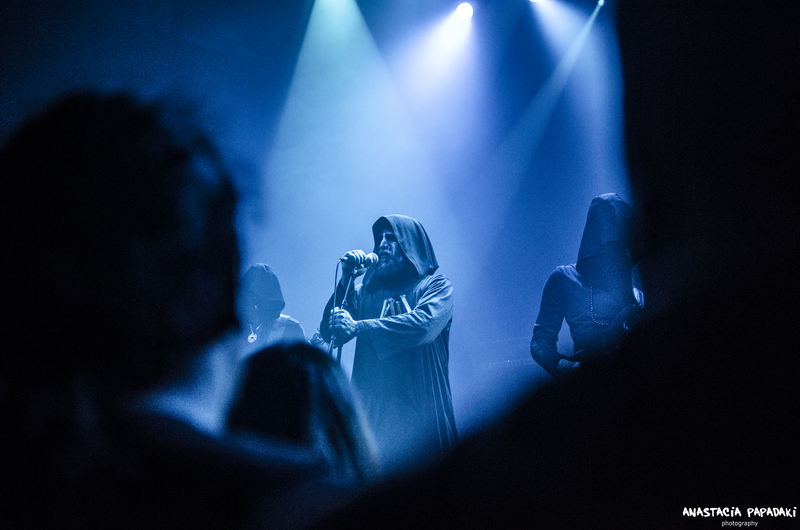 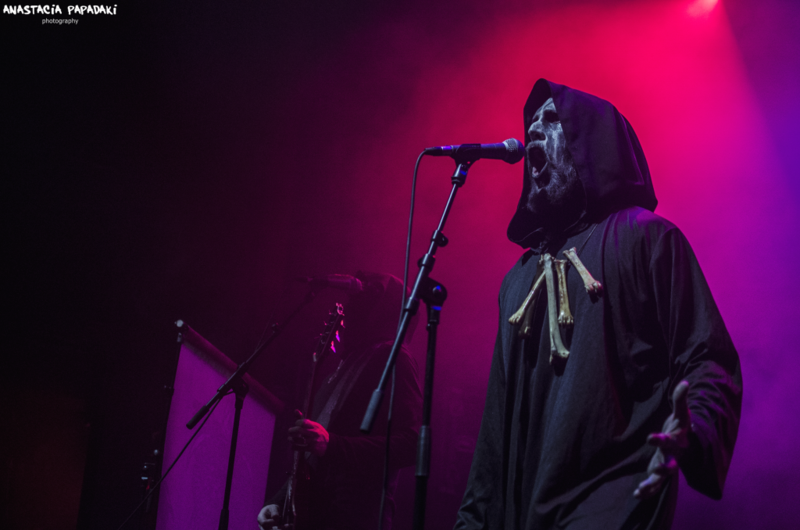 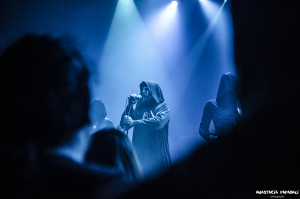 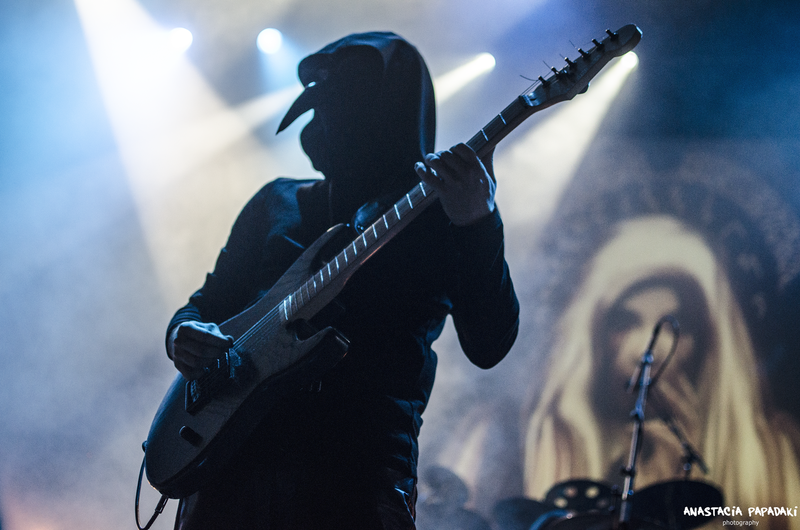 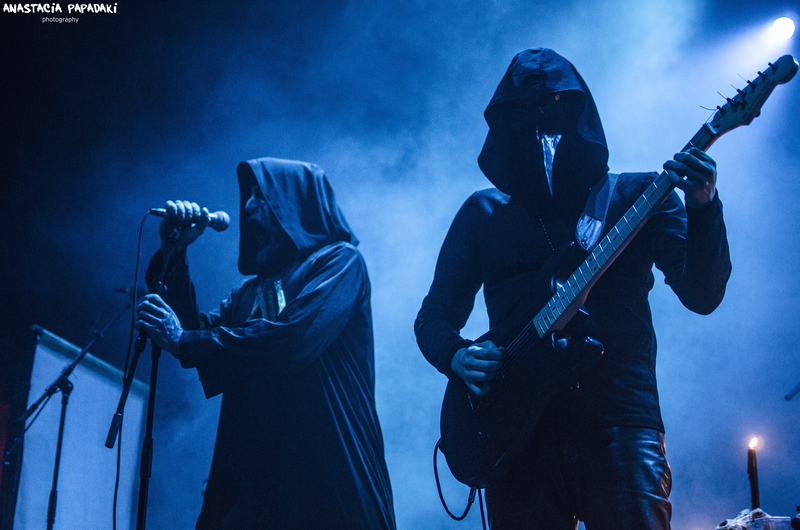 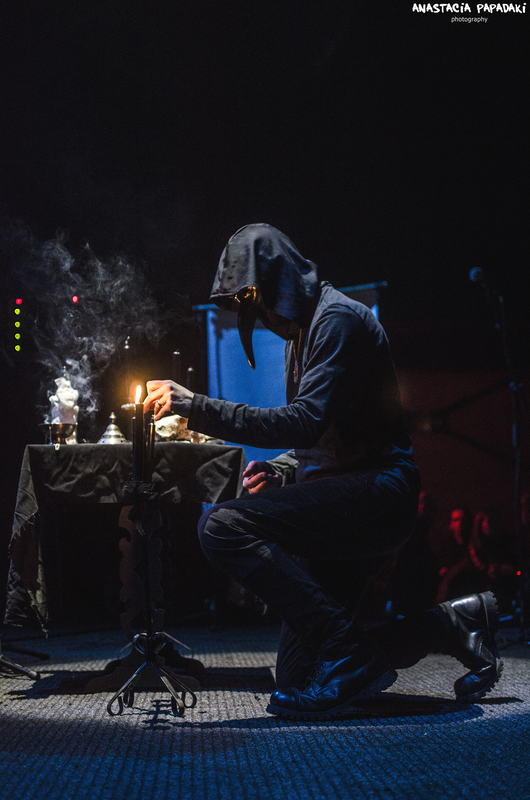 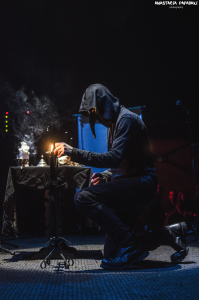 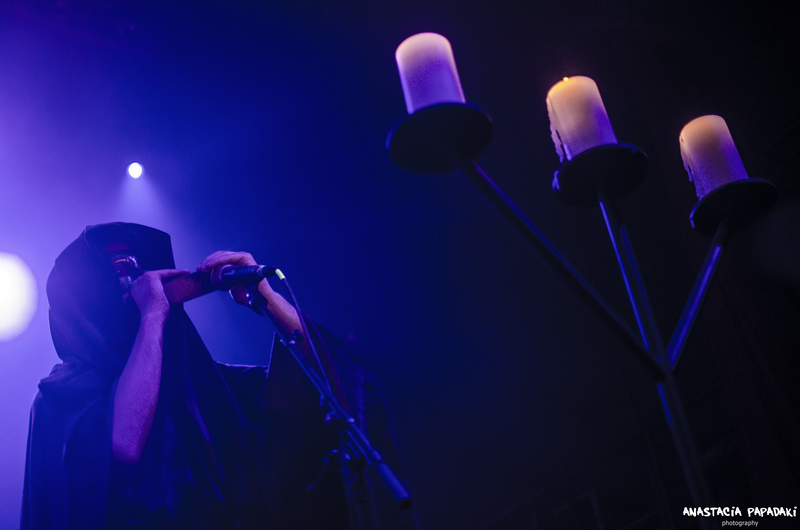 The A.in vocals was in a black cloak while the others wore beak masks and hoods being ready to begin the ceremonious evocation. 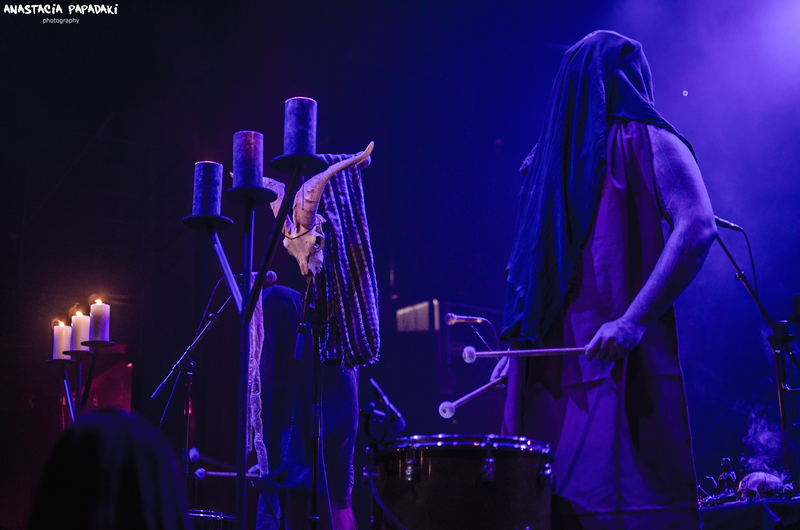 From the first note of their set, the strength and grandeur were visible. 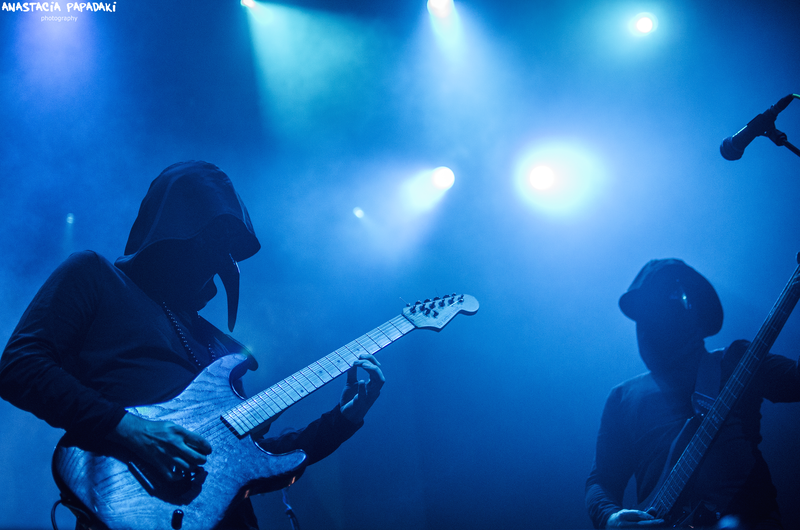 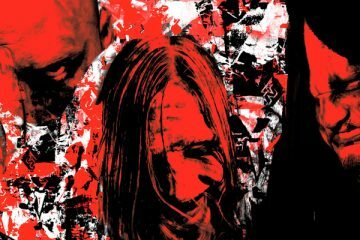 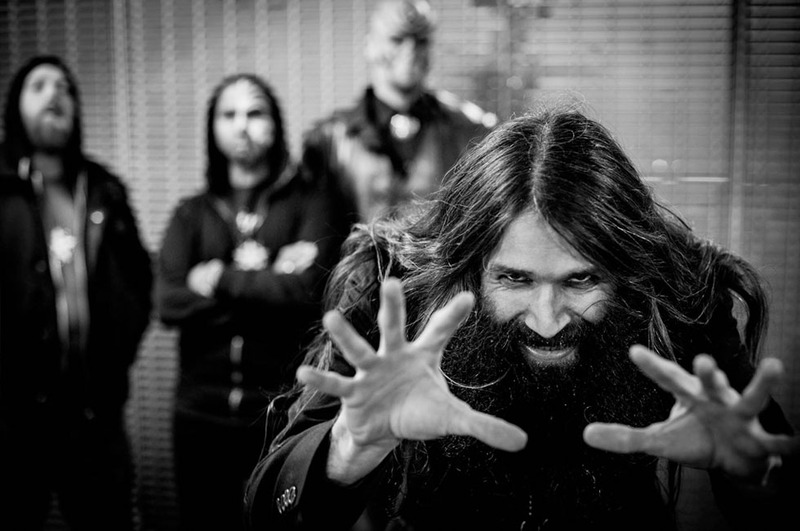 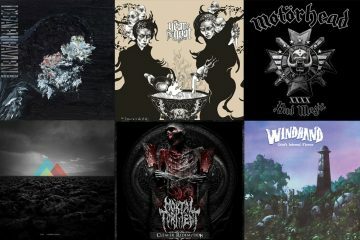 Sharp guitar riffs upon riffs, blastbeats that made heads bang unstoppably and structures that invigorated and amazed. Their performance was overwhelming (including compositions from their first album “EternvsMos, NexRitvs” as well as their latest one “Liber Lvcifer I: KhemSedjet”) and they certainly gained the hearts and ‘ears’ of a big part of the audience who were not yet acquainted with THY DARKENED SHADE’s magnificent necrosophic black metal. 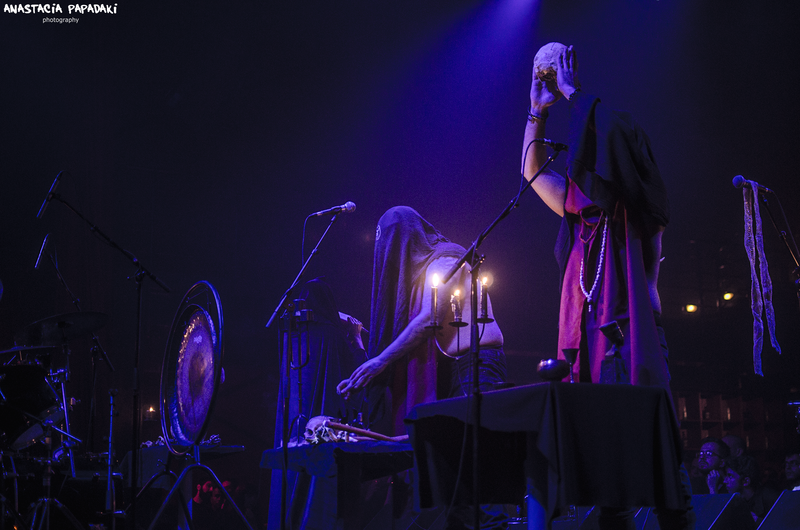 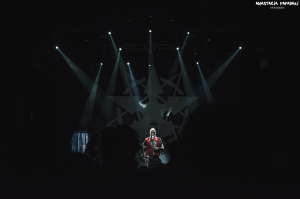 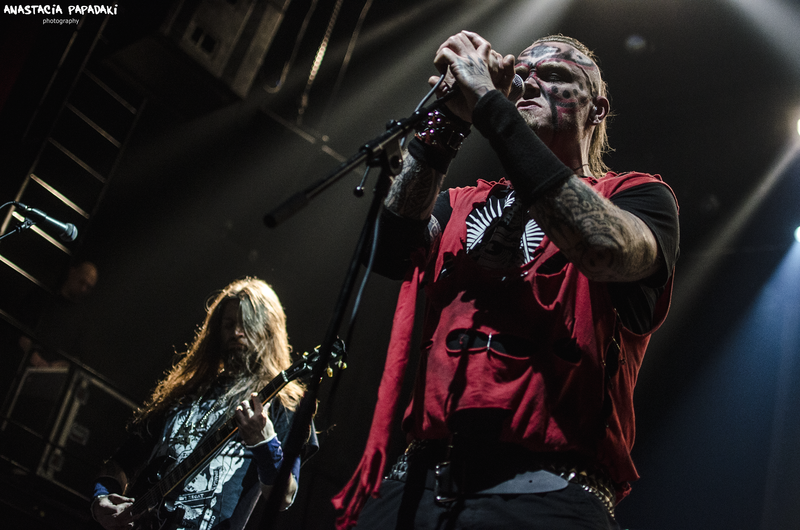 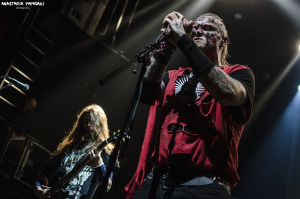 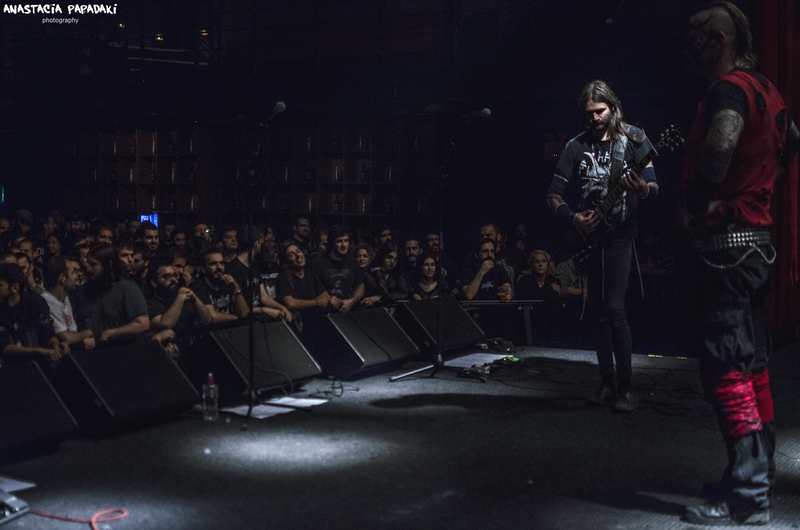 The last act of the night is the mighty DØDHEIMSGARD opening the set with “God Protocol Axiom” from their last opus followed by “EnKrigåSerie” from the debut “KronetTilKonge”. 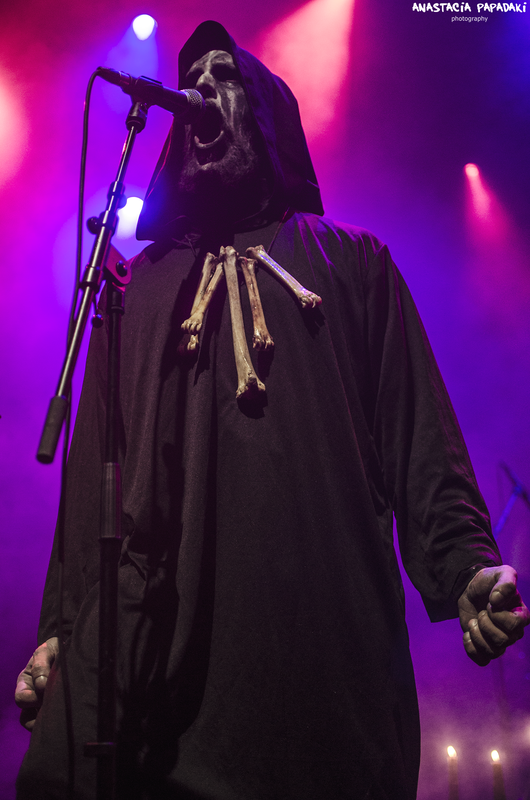 Aldrahn was in a great mood and despite the technical problems that affected the sound and some parts of the concert, he continued giving an absolutely theatrical performance.The two songs played from the last album, “God Protocol Axiom” and “Architect of Darkness” seemed to enjoy a big appreciation from the crowd. 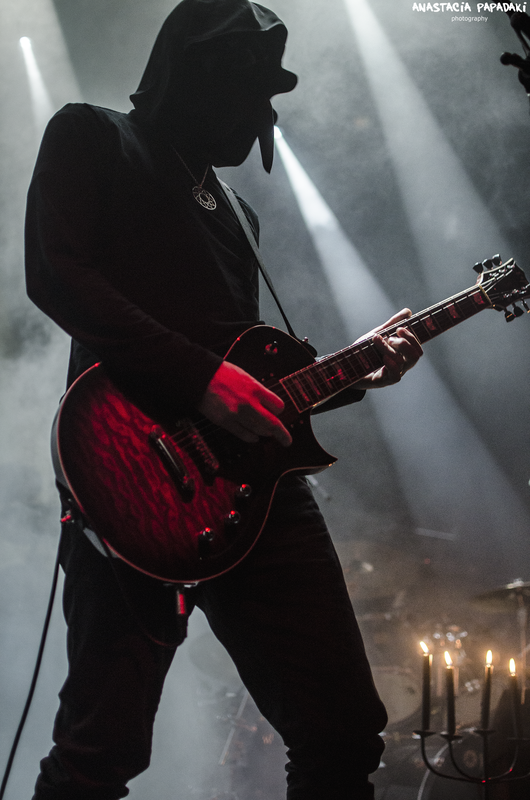 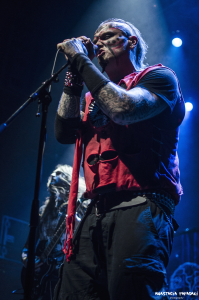 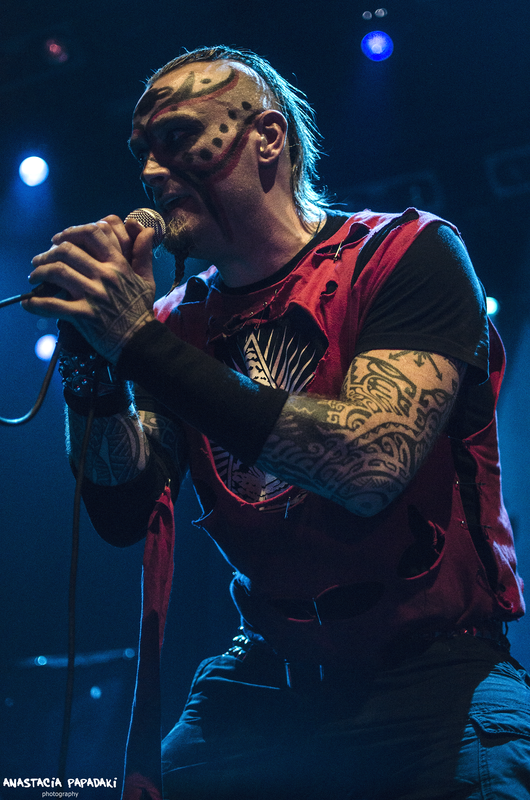 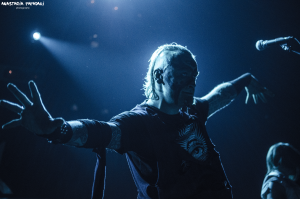 “Ion Storm”, “Traces of Reality” and “When Heavens End” seemed to be the most stimulating songs for the audience. 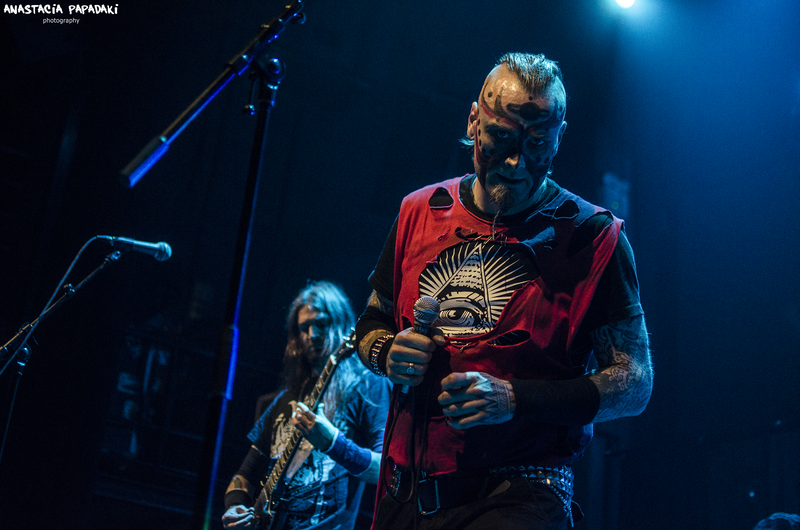 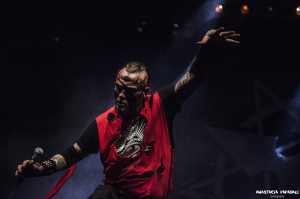 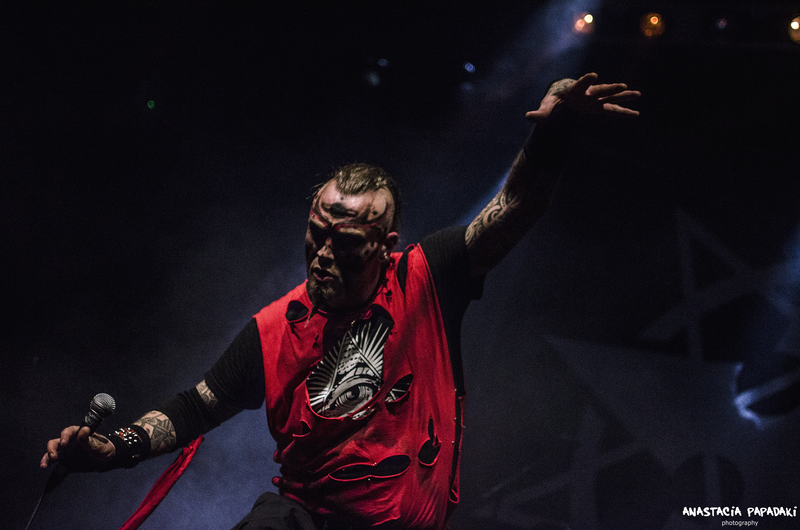 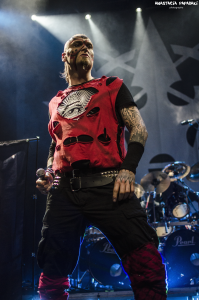 Vicotnik stood as majestic as always while Aldrahn was moving up and down the stage sharing his dramatic yet paranoid vocals in a choice of clothing that matched his ‘craziness’. 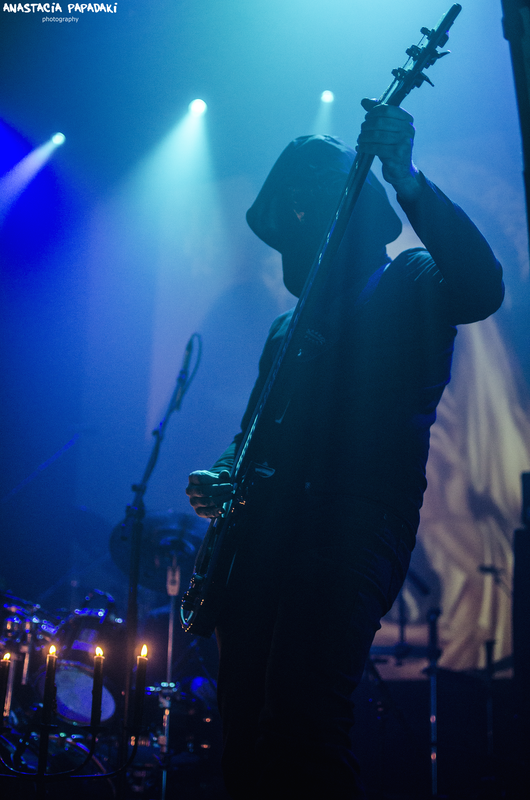 Due to the aforementioned technical difficulties, there was no encore even though it was planned to play one. Despite that, it was a great night filled with black metal and loud tunes that satisfied the audience.